The Aeroreflector invites a collective turn towards the most important energy source for earthly life, the Sun. In positioning our tools-for-change towards it, we enter into an active multi-directional relationship with our brightest shining star, forming an act of hope-filled togetherness and solidarity with the Earth’s natural surface reflectivity, known as albedo. Based on a truncated pyramid concept developed long before the Anthropocene, the parabolic structure of the Aeroreflector reveals generational connections across various cultures, materialising methodical parabolic techniques, essentially formulating a solar thermal collector for heating. The concept of concentrating light using curved mirrors has historically helped civilisations to use collective efforts to heat, cook, and to share meals from renewable energy sources, collaborating with simple forms of abundant elemental energies instead of the extraction of commodity fuels for combustion-based process of heat generation, at the expense of all natural phenomena, ourselves included. In becoming more familiar with direct solar energy, discovering the warmth from this life-providing star and the ocean of air through which it transmits, we can rearticulate the way energy and heating power has been (ab)used since the dawn of a human-influenced geologic age. Turning our attention to new circular modes of nourishing each other and the planet simultaneously, we enter into a renewed reflective practice; one in which we re-attune to the Earth, adhering not only to ourselves but interplanetary rhythms, other species and nature itself too. Through this multidisciplinary exchange, we collectively attempt to understand how the sun made us, and what the sun could make of us, if we begin to sense it differently. 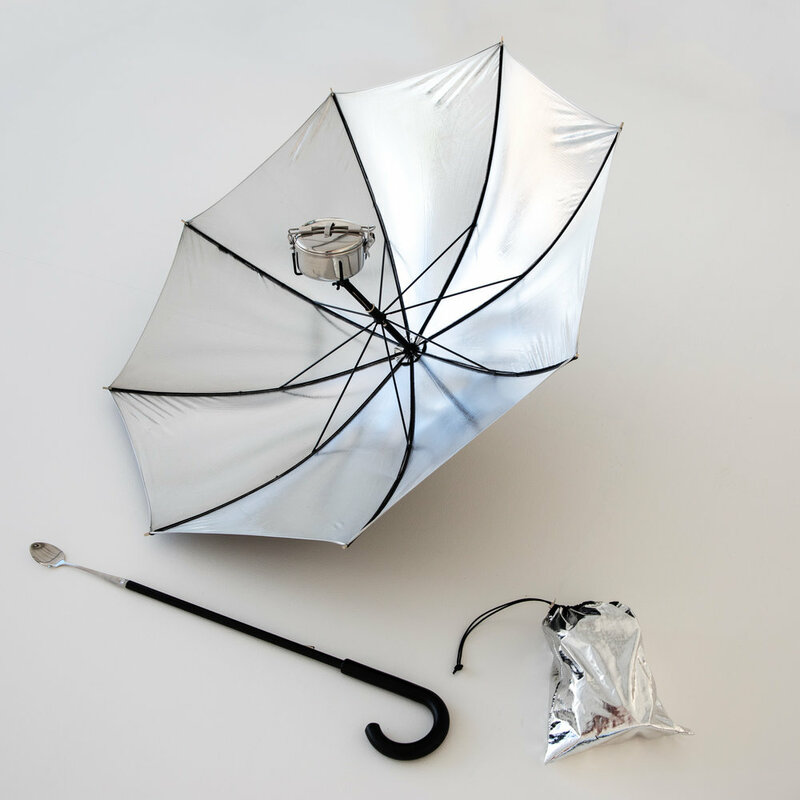 Aeroreflector gear: solar cover, solar base, solar pot. 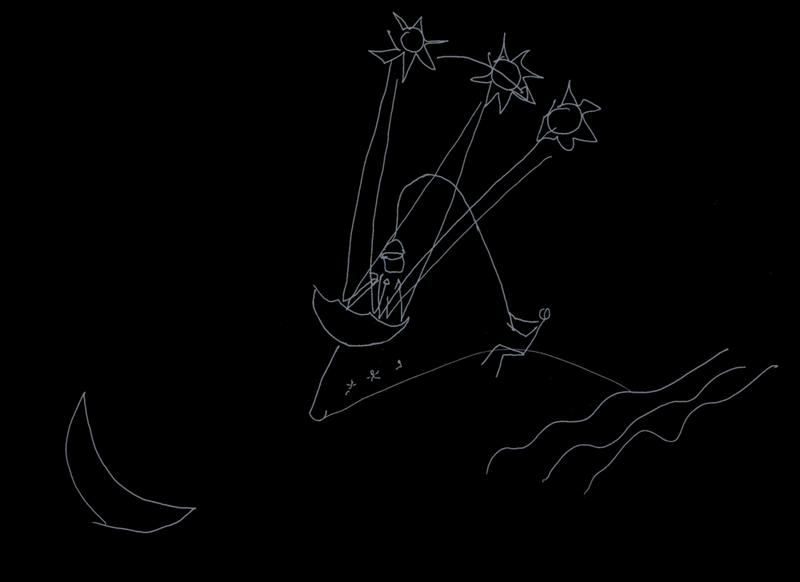 If the sun doesn’t shine, we adjust, collectively embodying a practice of planetary attunement. Be careful: smooth and slow moves. Following the form of emissions-free parabolic solar cookers, attach the four-peg support structure to the base positioned at the central focal point of the parabola. This central focal point is where maximised solar energy is captured. Place your pot into the warming embrace of the four-peg structure. 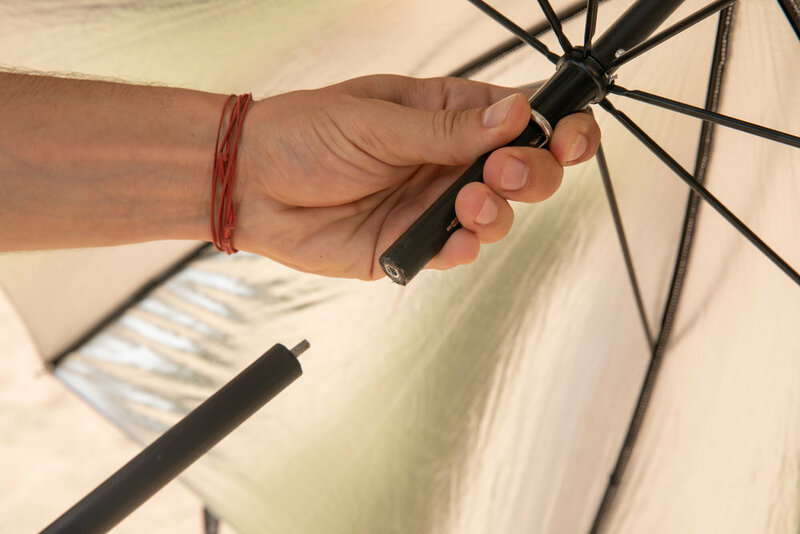 Attach the spoon/fork supplied to the unhinged handle, making it an handy-long tool to protect your hands from the heat emanated by the Aeroreflector. 6 - MAKE USE OF THE MOST ABUNDANT SOURCE OF ENERGY ON EARTH - SOLAR ENERGY. A transparent heat trap around the pot allows sunlight to enter whilst also enclosing the heat. The reflecting surface around capture extra sunlight from an area about three times as big as the pot. Set the entire structure on a dry, level surface in direct sunshine, away from potential shadows. Put ingredients in the pot. Turn every 15 min to the rhythm of the Sun’s movement. If the weather is optimal, you can even boil or barbecue your food. 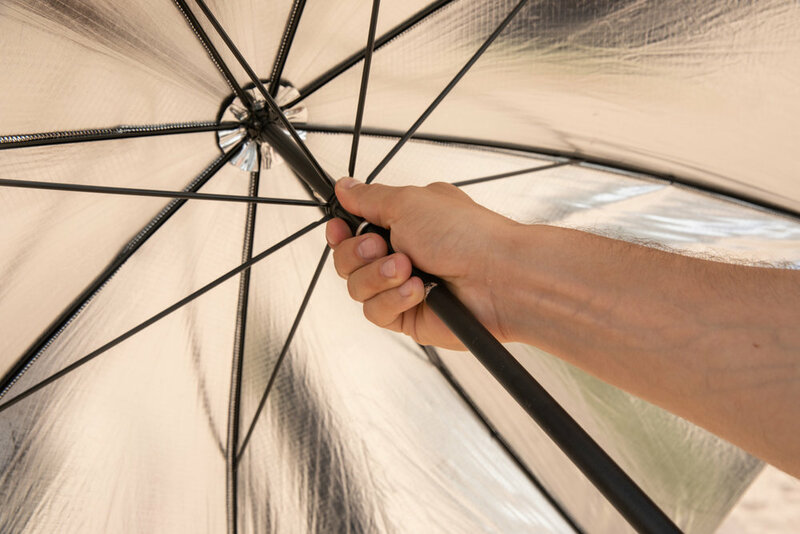 Never leave the umbrella unattended; do not place your hand directly in the focal point. 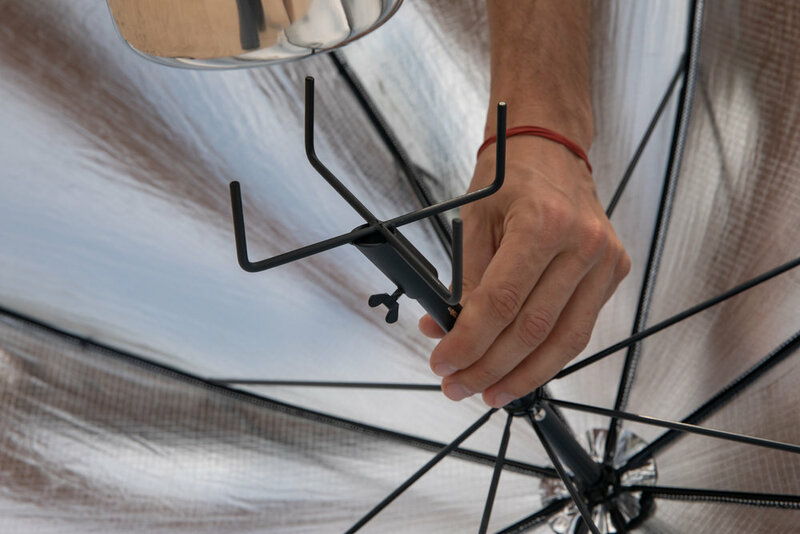 Subverting the individualised functionality of the umbrella as a tool for self-protection from the rain or rays of Sun, the Aeroreflector’s inversion transforms the umbrella into a speculative tool for communal activity and aerial attunement. The Aeroreflector joins the Earth’s surface albedo in redirecting the energy of the sun away from the surface, oceans and atmosphere of our Planet, solidarising ourselves with this natural process that maintains the thermodynamic balance of the Earthly system, which is increasingly . 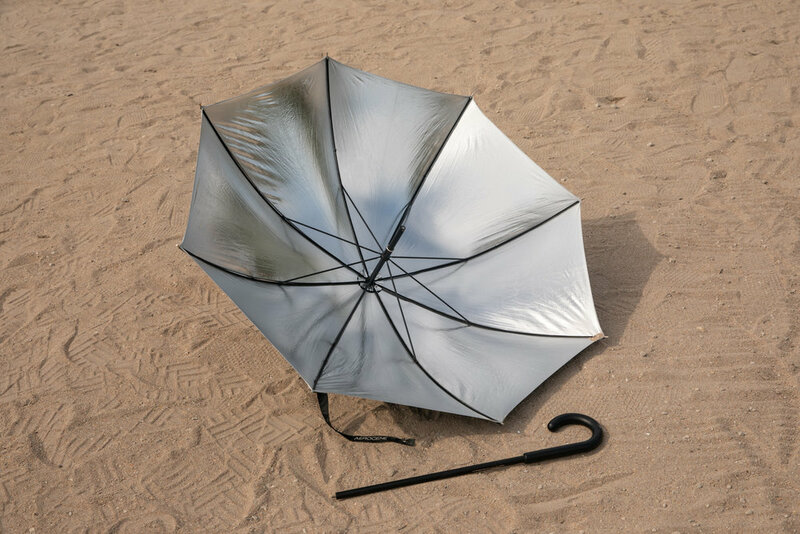 In the age of the Anthropocene, reframing the use of the umbrella invites us to enter not only a reflective practice in communication with the sun, but to also further reflect on the extractive relations of our fossil fuel milieu, whose inherent inequalities proliferate into the air, creating a human-driven thermodynamic shift that has redefined the life-giving energy of the Sun as a threat, experienced by the consequences of Earthly warming. Installation views and Aerocene performances on the occasion of ‘Audemars Piguet presents Tomas Saraceno for Aerocene’ at Art Basel Miami, 2018. Courtesy Aerocene Foundation. 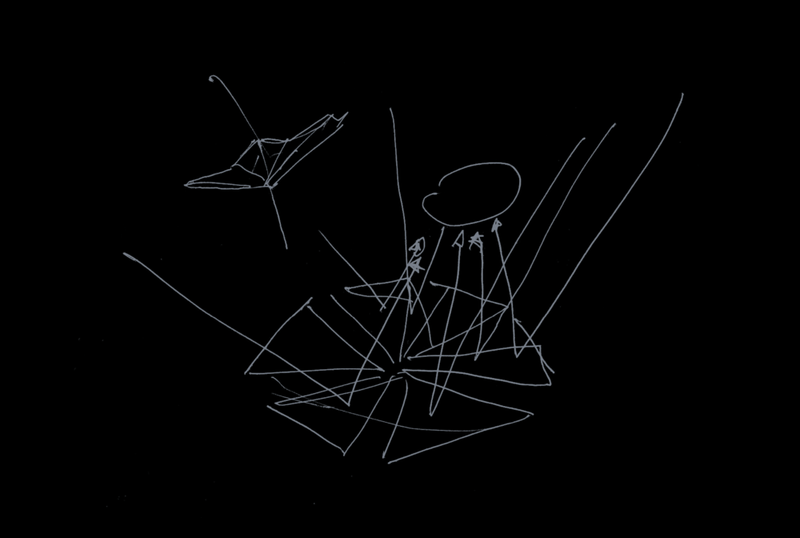 Image by Aerocene Foundation licensed under the open source Creative Commons CC BY-SA 4.0. For more information contact us at info@aerocene.org.